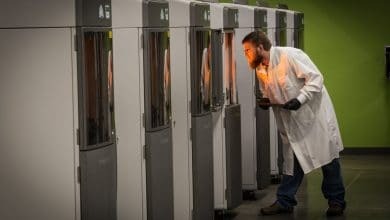 In the aftermath of GE Aviation’s announced $1.4 billion acquisition of Arcam AB and SLM Solutions), investors showed confidence in the two metal 3D printer manufacturers and – as was to be expected – remained somewhat skeptical as to the short and medium term benefits of this deal for GE, with the stock losing a few percentage points in the immediate aftermath of the announcement (to then recuperate most of the lost ground, though). One reason for investor skepticism is the potential for EBM and SLM technologies to become a fully industrialized process. 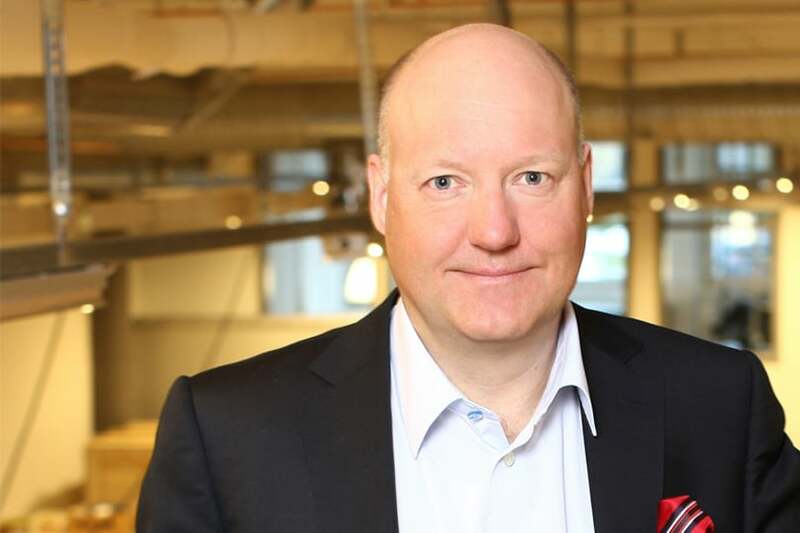 3D Printing Business Directory caught up with Arcam CEO Magnus René to learn more about the short and medium term potential off EBM technology and what it can do for the ever so important aerospace and medical industries. 3DPBizDirect: What do you think are the main limits to and what are the main challenges in making EBM technology specifically into a more industrially viable process? 3DPBizDirect: How did the acquisition of Canadian AM powder manufacturer AP&C by Arcam play into the effort to reduce materials cost? MR: They are now part of the group, which consists of the EBM business, the powder business and the contract manufacturing business. These activities are run as a group but each company has an independent management. When it comes to developing strategies we implement a common group strategy. When it comes to AP&C specifically, it is important to understand that it produces powder, both for EBM and Laser systems, so actually half of the powder we manufacture at AP&C goes to other system manufacturers or their customers. In order to make these powders ever more accessible we’re building a new factory – also located in Montreal – as an important part of what we do toward industrialization is increase production volumes while also optimizing efficiency to further bring down costs. We are also working on our own proprietary atomization technology in order to make it more efficient in making the powders that we need. 3DPBizDirect: Getting back to EBM technology itself, how can that be optimized toward industrialization? 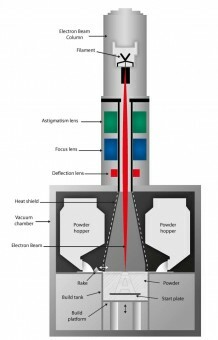 MR: One way is by upgrading the technology so that more powder per hour is fused by the electron beam. This and other upgrades will be implemented both through regular hardware and software upgrades and through the launch of new systems where larger size capabilities is an important aspect that we are considering. 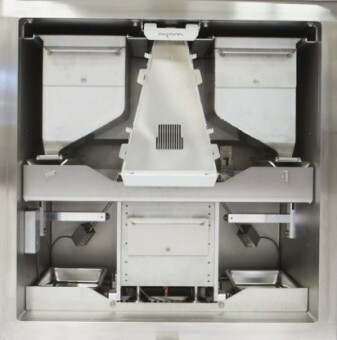 EBM technology does require a vacuum chamber, but other than that there are no inherent size limitations and the systems could be scaled up significantly. 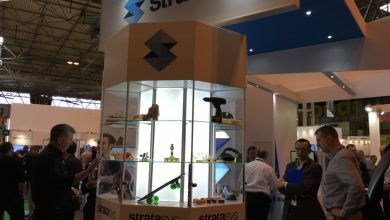 3DPBizDirect: I’m guessing this would be particularly important in the aerospace sector:. Is that the most important industrial segment for Arcam at this time? MR: It is today split roughly 50:50 between aerospace and medical. For the future, however, Aerospace represents the larger opportunity for us. 3DPBizDirect: You have been leading Arcam as CEO since 2001, at what stage of its evolution do you see the additive manufacturing industry today? MR: We are at a position where AM is now used in the medical field for functional implants, for end products. 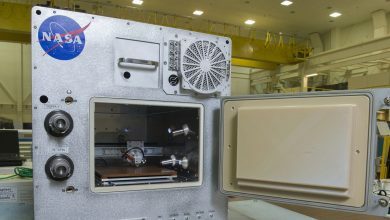 In the aerospace industry there’s really a lot of consideration for AM’s potential to produce more efficient parts and there is a lot of expectation on when and where it will be used, however it is not used in high volume industrially at this time. 3DPBizDirect: How are your current collaborations with GE – such as the one with GE Avio Aero – proceeding in this sense? MR: That is going extremely well. They are working toward seriously implementing EBM for production of end use parts and are now planning on expanding their use of EBM technology significantly. 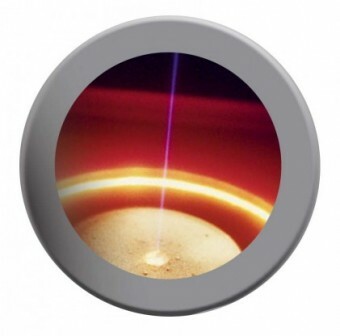 We are always competing with all sorts of different technologies and when it comes to the specific question on the difference between EBM and laser what we can offer is increased have productivity and superior material properties. 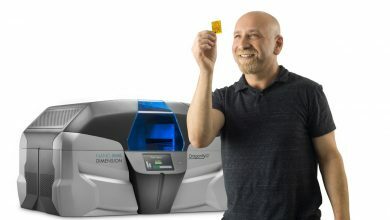 3DPBizDirect: How are part produced by EBM superior to SLM? When you look specifically at the case with GE Avio Aero, you simply could not achieve the same levels of productivity with laser based technologies. No part can ever achieve 100% density but with EBM we are well above 99.9%, higher than a cast part. Another common driver throughout the aerospace segment is weight reduction and “Buy-to-Fly ratio”, which is the weight ratio between the raw material used for a component and the weight of the component itself. With this in mind we have been collaborating with GE Avio Aero since 2010 in developing titanium alumide as a material supported by our EBM systems, especially as potential substitution for nickel-based superalloys used in the low pressure turbine in an aircraft engine. 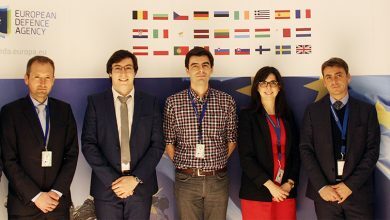 Breakthrough in aerospace Avio Aero in Turin, Italy, is a subsidiary of GE Aviation. Avio Aero has successfully used Arcam’s EBM® systems for many years, and they are now manufacturing advanced turbine blades for aircraft engines. In connection with this, at the end of the year they ordered ten new EBM® systems, thereby doubling their installation. Another important reference is the order from GKN for two Arcam Q20 systems, which was announced in March. In partnership with GKN, we are putting our technology into serial production for aerospace industry components. These orders prove the great potential of EBM® technology as a production tool, and we now see our aerospace customers quickly expanding their production centers with our EBM® systems. CFDA approval in China In September, our customer Beijing AK Medicalannounced that Chinese authorities have approved their EBM-manufactured products for sale in China. These are the first additively manufactured implants to be approved in China. Because of this, Beijing AK Medical decided to put these implants into full production, and they ordered a further five Arcam Q10 systems. Broader use in the implant industry During the year, our Italian customer Lima took delivery of the five systems they ordered in late 2014. This dramatically increased Lima’s EBM capacity and consolidated its position as the world’s largest manufacturer of additively manufactured implants. Meanwhile customers in Japan, Korea, Europe and the USA have launched new products on the market in orthopedics for hips, knees and spinal surgery. This means that our EBM® technology is now an established production method for orthopedic implants. A stronger organization During the year we have strengthened our sales and support organization in the USA, China and the UK by recruiting sales staff and support engineers. New sales and service offices were opened in Warwick, UK and Woburn, just outside Boston in Massachusetts. We now have offices, warehousing, application and training centers under one roof both in the UK and USA. Thanks to the strengthened local offices, we are bringing our management, customer responsibility and logistics closer to our customers. Our aim is to build a stronger base in the USA and UK to enable even faster growth. We have also strengthened our marketing by establishing a new central marketing function for the Arcam Group, based in the USA. The function is headed up by Bruce Bradshaw, who joined Arcam from Stratasys and is based at the Woburn office. The new marketing organization will lead and co-ordinate Arcam’s global marketing, in order to fully leverage our strong position in the aerospace and implant sectors. Management changes in the Group In December Alain Dupont was appointed President of powder manufacturer AP&C. He succeeds Jacques Mallette, who had been the company’s President since 2011 and is still involved as Chairman of the Board of AP&C. In February 2016, Tom Barrett was appointed the new President of contract manufacturing company DiSanto in Shelton, Connecticut. He joins the Group from Symmetry Medical. 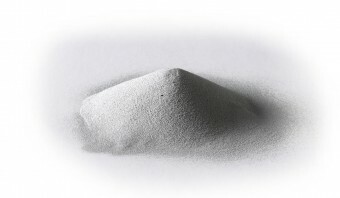 Expansion in Sweden and Canada As Additive Manufacturing becomes more well-established demand for powder for both EBM® and laser-based systems is increasing considerably. We decided therefore during the year to expand AP&C’s powder operation with three new atomization reactors. Since the expansion, AP&C has capacity for more than 250 tons of titanium alloys a year. AP&C now has a total of five production lines designed for titanium powder, Inconel and other alloys. Demand for our EBM® systems is rising steadily, and a major extension of our production premises in Mölndal, Sweden, therefore began in the beginning of the year. The extension has doubled our production space. We also opened a new demonstration and customer training center. The extension was completed in October. New ownership structure In May, Industrifonden sold its holding in Arcam, which equated to approximately 10.4% of the capital and votes. The buyer was Oppenheimer Funds, USA. The transaction brought an end to Industrifonden’s many years of involvement with Arcam. Industrifonden was part of the company from early on, first as a lender and, since 2002, as an owner. Industrifonden was an active owner during the company’s establishment phase. Oppenheimer, one of America’s largest fund managers, has been an investor in Arcam since 2014, and the deal brought its holding to over 15%, making it the largest owner. A new issue of 1.8 million shares directed to the First AP-fund was carried out on 27 May. The issue provided the company with approximately MSEK 250 before transaction costs. The First AP-fund represents a committed, long-term institutional ownership, which the Board considers to be positive for the company’s development. After these two transactions, we have a new ownership structure and a very strong cash situation. Our strong balance sheet gives us financial stability, which is important for the large customers we work with in long-term projects. Great opportunities Our strong growth and expansion into new markets will require further strengthening of the organization, both in EBM® operations and in the subsidiaries. We will continue to work hard and in a focused way with new goals, the main areas in 2016 being technological development, growth and expansion. With some of the world’s biggest companies as our customers, a strong cash situation, stable supporting shareholders and above all a team of dedicated and motivated employees, we are well positioned to capitalize on our opportunities in the fast-growing Additive Manufacturing market.